So, I have been meaning to start this new weekly post for a while now but as usual life just keeps getting in the way. Today however I decided that if I am ever going to get this started I need to as the saying goes 'Just Do It' so this is the first of what I hope will be a continuing event, Flashback Friday. What is Flashback Friday, well it is when I go bak and review books that for whatever reason I have read and not gotten around to doing a full review on before. They might be books from several years ago or books, like todays, from a few weeks ago. I am starting this series off with one of my favorite authors and it's extra special because yesterday was my birthday and while I was fighting off a migraine I was gathering up goodies for a giveaway to celebrate. So welcome to my first Flashback Friday review! 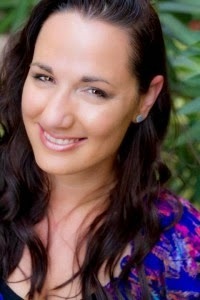 What do you say about Jennifer L. Armentrout? The woman can write. She has written some of my favorite YA and NA's. She can write snark, humor, romance, action, swoon worthy heroes and kick as heroines, and now with Fall With Me we know she can also do some pretty creepy suspense. As usual, I loved her characters. There is something about the way she puts them out on paper, it's not like you are simply reading their stories, instead you are falling in with their crowd. It feels like you are getting to know them on a personal level and seriously if I were younger this is a group of people I'd want to hang out with. Honestly I would totally hang out with them all now, but I don't think they would want me seeing as I could practically be one of their mothers, haha. One of my favorite things about this series in fact is that she always brings the whole 'crew' back together even through little snippets. I love those peeks back to previous couples especially as we watch new people come into this world that we have fallen in love with. Roxy, I want to be Roxy, I want to be able to rock my glasses like Roxy does. She is just this amazing woman who is quirky, artsy, loving, kind, generous, loyal, and faulty. I loved that about Roxy, I loved that she has all these amazing qualities that might lead some one from the outside to believe she has it all together, that she's some superwoman, when instead she is struggling and fighting her own demons and insecurities. Her relationship with her best friend is both so uplifting and heart wrenching, I can't tell you how many times I cheered her on while wanting to curl up in a ball and cry with her. The strength she showed in the face of that pain...I don't know if it is something that I could have done, but it makes me want to believe I could be so devoted. I admit to wanting to give her a few good shakes a time or two. She really works at pushing Reece away and at points it can get a bit frustrating. Reece, another amazing character from Jennifer. He's alpha male through and through but darn if he isn't also a devoted friend and all around good guy and he is especially protective of Roxy no matter what obstacles she throws in his way. I loved that he refuses to give up on her, that he has his stuff together. He may be young (in my terms, haha...don't forget I just got a year older yesterday *bangs head on desk*) but this guy is ready for more and even though he has to get through some past issues that hold him back I appreciate how hard he fights for Roxy. I think you will be surprised, although we shouldn't be JLA can pretty much write anything it seems, how this book is more than a swoon worthy romance. Like all her books this one has heart, but it also has a beautiful message about friendship and love, it has a heartbreaking message about judgement and hate, and it can be plain scary at times. The kind of scary that makes you want to slam your eyes closed except you can't because it's dark in there and you never know who might be hiding in your closet! I think you will find the storyline intriguing and the pacing spot on. This is a book you will sit down and won't be able to stop reading until you finish! This is another home run for Jennifer and I can tell you you definitely want to give this book, this series a read. These books can be read as stand alone, but characters from past books do pop up so I (as usual) suggest starting from the beginning and reading through. You will not be disappointed. Thank you for another fantastic book Jennifer, can hardly wait for the next one. Thank you so much! Having a new tea cup is never a bad thing :-) Good Luck! This is an awesome giveaway, been thinking of maybe trying her books for awhile, this would be the boot I needed to get started. I love her books to pieces, I may be a bit star struck with her but she truly hasn't failed me yet with any of her books. Good Luck!